The Amazon Echo Dot voice-controlled smart speaker is even better than before. 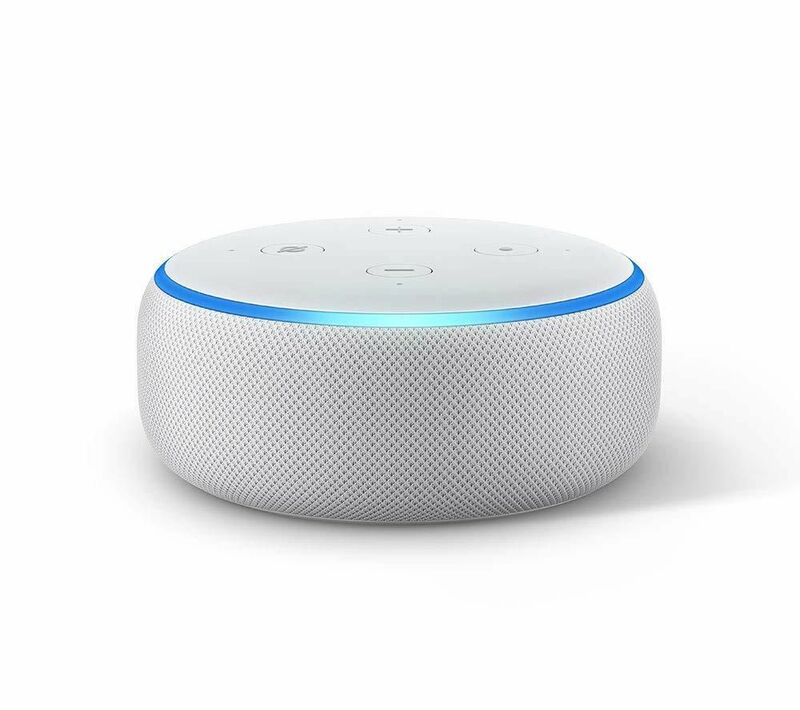 From playing music to providing you with news, weather information, football scores, cinema listings and loads more, the newly designed Echo Dot and its voice assistant Alexa is the perfect addition to any room. Echo Dot helps you stay connected with family and friends too. You can call anyone with an Echo Dot or just send a voice message to other Echo Dots in the house - perfect for getting everyone down to the table when dinner's ready. Play your favourite music using just your voice through Amazon Music, Spotify, TuneIn and other popular streaming services. If you've got other Echo devices in different rooms, you can fill your whole home with music - great if you're having a party. You can even use it to listen to Audible books and radio stations, or pair it with Fire TV to get voice-control over films and shows. Connect Amazon Echo Dot to your smart home devices for voice control throughout your house. Dim the lights when you're watching a movie, turn the heating up if you're feeling chilly or just set handy reminders for yourself - all without getting out of your seat. Alexa's got a range of skills to help you out and have fun. Just like apps, Alexa's skills range from helping out with life to just a bit of fun. From playing games and quizzes, to tracking your fitness with Fitbit just say Ã inchÃ‡Â£Alexa, help me get started with skills inch to discover thousands of different skills. And of course, new skills are being added all the time. Check out the Skills section of the Alexa App or visit the Skills Store to see what's on offer.